Discussion in 'Mitsubishi Minicab' started by MJPapp, Sep 7, 2018. I don't have a mitsu in front of me - I know I can remove the bed. Is there any way whatsoever to remove the cab, no matter how messy? 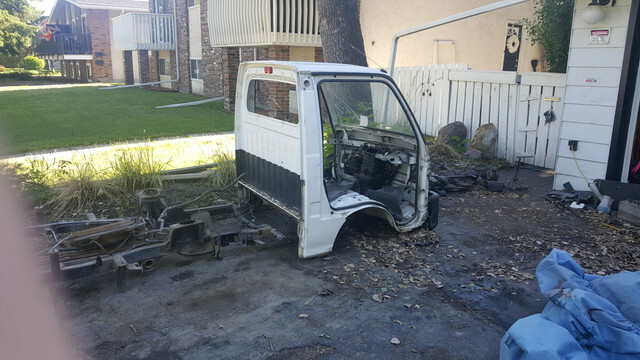 Pretty sure the frame and cab floor are one, not removable. I think some of the some of the newer trucks had frames starting in the late 90’s. But all of the trucks before that had unibodies. Looking forward to watching that build, that's not TOO far off what I'm planning.